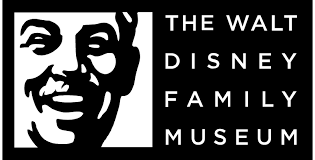 “`The Walt Disney Family Museum is unveiling its newest special exhibition, Walt Disney’s Nine Old Men: Masters of Animation, on display to the public from May 17th, 2018 through January 7th, 2019 in the Diane Disney Miller Exhibition Hall. “`This unique exhibit celebrates the distinctive talents and contributions of The Walt Disney Studios most celebrated artists, playfully dubbed the Nine Old Men by Walt. The famed nine were: Les Clark, Ward Kimball, Eric Larson, John Lounsbery, Wolfgang Reitherman, Milt Kahl, Ollie Johnston, Marc Davis, and Frank Thomas. “`Masters of Animation features artwork and family artifacts from the Nine Old Men, including sketchbooks, caricatures, and snapshots, as well as original art from classic animated movies, such as Pinocchio, Bambi, Peter Pan, Lady and the Tramp, and Sleeping Beauty. “`Never-before-seen personal etchings, paintings, sculptures, concept artwork, and character drawings (including Mickey Mouse) will be on display, alongside documentary interviews with these masters of animation, as well as rarely exhibited pencil tests and final color scenes that showcase their genius. “`This original exhibit is curated by Don Hahn, the Oscar-nominated producer of Beauty and the Beast and The Lion King. Hahn conducted extensive research on the Nine Old Men, and spent treasured time with each of the animators’ families for in-depth discussions, unearthing details about the unique backgrounds and personalities of the artists behind iconic the Disney characters and films. “`The Walt Disney Family Museum is located at 104 Montgomery St. in the Presidio of San Francisco, just a stone’s throw from the Golden Gate Bridge. This entry was posted on Sunday, May 20th, 2018 at 1:22 am	and is filed under Blog by Manny Pacheco. You can follow any comments to this post through the RSS 2.0 feed. You can leave a response, or trackback from your own site.